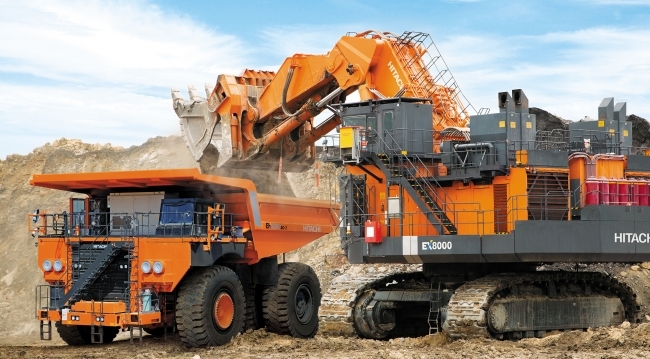 In the pursuit of developing high-performance hauling trucks, Hitachi Construction Truck Manufacturing Ltd (HTM) needed new design techniques that would help them manage all of the calculations involved during development. Their current methods for deriving new designs would often rely on simulation software and a collection of disparate mathematics tools. Some calculation tools were developed with spreadsheets, which have the disadvantages of hard-to-diagnose errors, and a lack of unified, transparent calculation auditing. HTM selected Maple as a key piece of calculation management software to streamline the way that design improvements are created and used. By using Maple, HTM is now able to perform fully traceable design analyses, make use of powerful optimization techniques, and seamlessly integrate calculations into auditable reports. HTM has already begun to remove a variety of slowdowns and design errors that stem from using their old calculation tools. They’ve used Maple’s powerful optimization features to push more performance out of their designs, and are creating a stable foundation of design calculations that are fully auditable and easy to understand – an invaluable resource for both current and future employees. In the current climate of industrial trucking products, truck manufacturing companies are striving to improve their products in more efficient ways than ever. These improvements can come in many forms, but in an industry of expensive prototypes and stiff competition, it is critical to find innovations that fit within tight margins, fast development cycles, and that deliver guaranteed reliability in the field. Regardless of the particular innovation, it will require some amount of careful calculations to ensure that the concept is feasible. 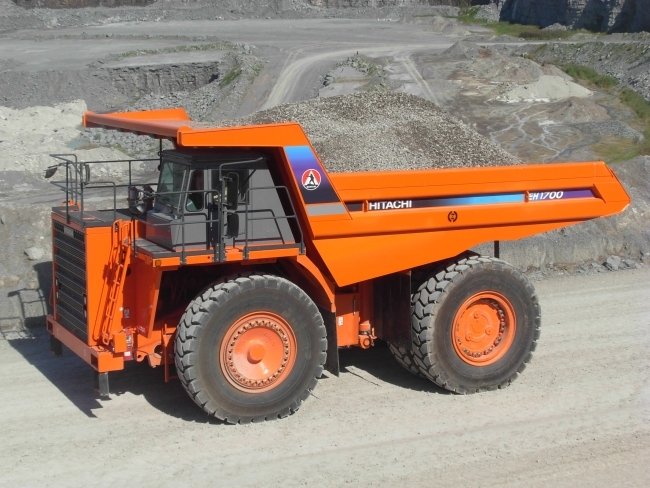 The engineering department at Hitachi Construction Truck Manufacturing (HTM) is taking steps to improve their rigid-frame hauling truck design through improving their analysis tools. The company has a history of using spreadsheet programs and older coding languages as a means to solve some engineering problems. While sometimes sufficient, these legacy approaches to managing intellectual company property can end up introducing redundancies and slowdowns in a variety of ways during a design process. The engineering department at HTM decided to gradually implement the use of Maple in several key areas to help speed development, and reduce the risk of errors from manually handling calculations across many tools. During typical analysis tasks at HTM, engineers use specific mathematics to work through design concepts, model their kinematic behavior, and analyze their structural integrity over time. In the truck’s initial design stage, HTM has historically used some developed spreadsheet programs, but has recently moved to Maple to reduce the chance of errors and improve calculation efficiency. In addition, Maple has been adopted to optimize design parameters throughout the truck design process. “Using Maple can make calculations more efficient than using spreadsheets,” noted Dr. Shen, a senior manager of the technical analysis group, when explaining his past experience using spreadsheet tools for analysis work. Using Maple, HTM engineers can set up their analysis with an intuitive math input, and use built-in functions to automatically solve and simplify work, reducing many of the possible errors they had associated with traditional, manual effort. The rigid frames developed at HTM must support massive payloads ranging up to almost 300 tonnes. To make sure these frames are suitable for the job, HTM uses finite element analysis (FEA) to investigate the life of welded joints, helping to determine the required size of each weld. While FEA is a powerful tool, it can be very resource-intensive, slowing down critical aspects of design analysis. Using Maple, HTM engineers perform initial stress estimations that give them a much better sense of their design before spending large amounts of time doing FEA iterations. With a better starting point, the FEA work is already honed in on rough approximations, so it can arrive at accurate solutions much quicker. In addition to improving the analysis capabilities of HTM, engineers are also beginning to integrate Maple into the reports they must regularly create for records. In the past, these reports would be an entirely different task, and any necessary mathematics would be inserted as screenshots, creating a break between the actual analysis and the report itself. With Maple, the documentation interface offers all of the features necessary for professional reports, and the mathematics involved are live, allowing updates to be reflected immediately across the entire document. Although still in the beginning phases, HTM engineers can now use Maple as a means to easily create reports from their pre-existing analysis work. As time goes on, this will allow engineers to create a live connection between their analysis work and their reporting, ensuring that future changes are reflected across all the relevant documents at hand. By adopting Maple as a tool for calculation management, HTM is joining the growing number of organizations that are treating their engineering calculations as an essential company asset. Responding to an increasingly competitive market, HTM is finding success by reducing the many sources of inefficiencies caused by legacy calculation tools. The success that HTM is finding with Maple is the result of treating calculations as a structured asset, ensuring they are created, reused, and distributed with care and attention. The migration from old techniques still continues, but HTM engineers are already seeing the benefits of adopting Maple for a variety of tasks that were once performed in older, general-purpose tools. With proper calculation management tools in place, HTM is creating powerful, efficient tools that reduce development risk and get their products to market faster.